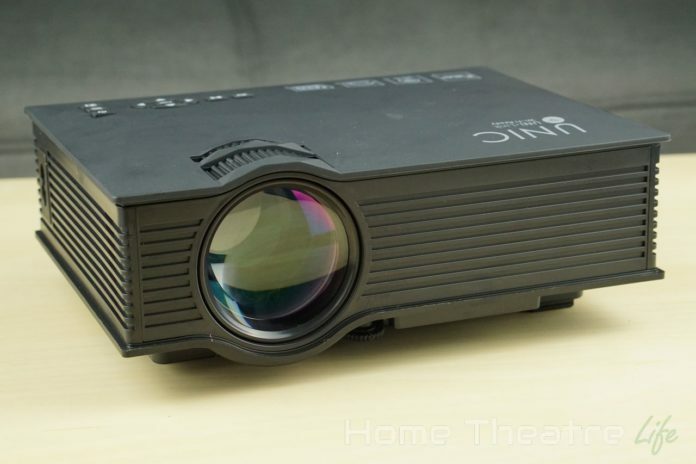 UNIC UC46 1200LM LED Multimedia Projector Review: How Good Can A Sub-$100 Projector Be? 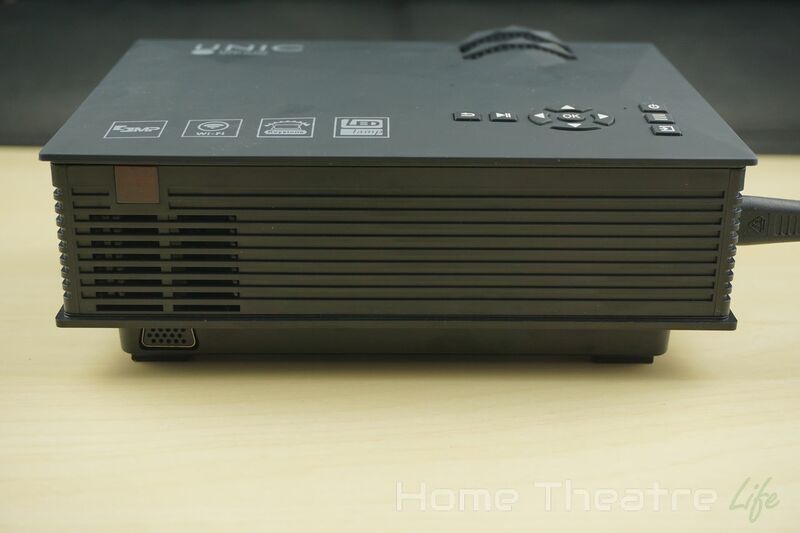 The UNIC UC46 is the company’s latest compact projector. 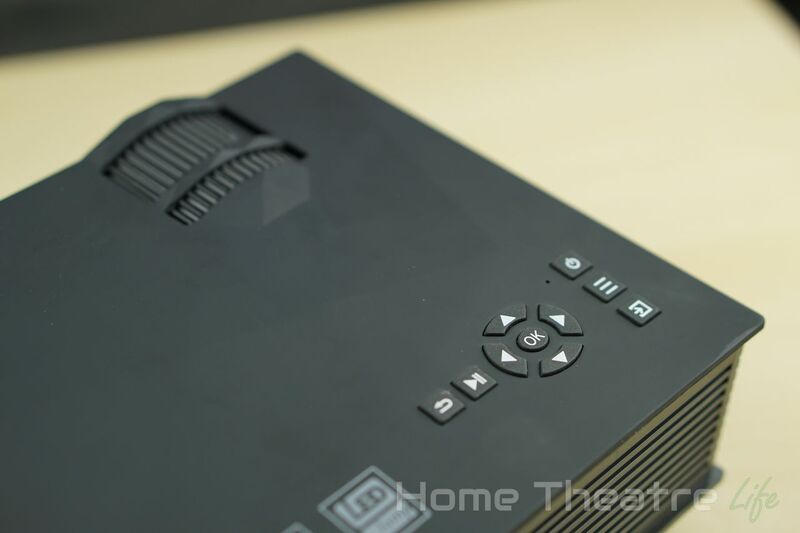 Boasting similar specs to the company’s popular UC40 model, the new model adds improved cooling and UNi-Link, a feature that allows you to stream multimedia via wifi. I want to say thanks to GearBest for sending me a sample to review. You can purchase the UNIC UC46 from them here. The design of the UNIC U46 is predictably similar to its predecessor. Essentially a large black box, the device definitely nails the projector aesthetic. 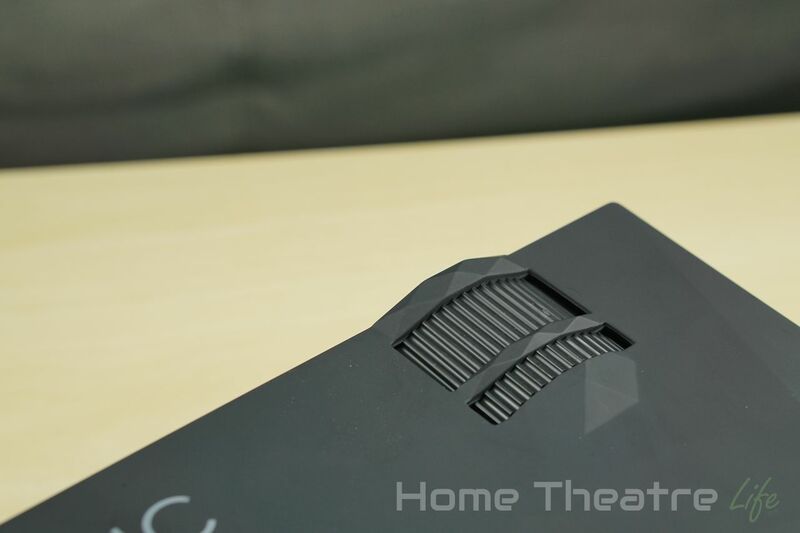 There’s a subtle geometric design on the top now that looks nice and helps give the projector some style cred. The front of the unit features the projector lens protected by a removable rubber cap. The car’s only held in place with friction and would fall out with a some jostling so if you’re transporting it, you may want to find a better lens cap. 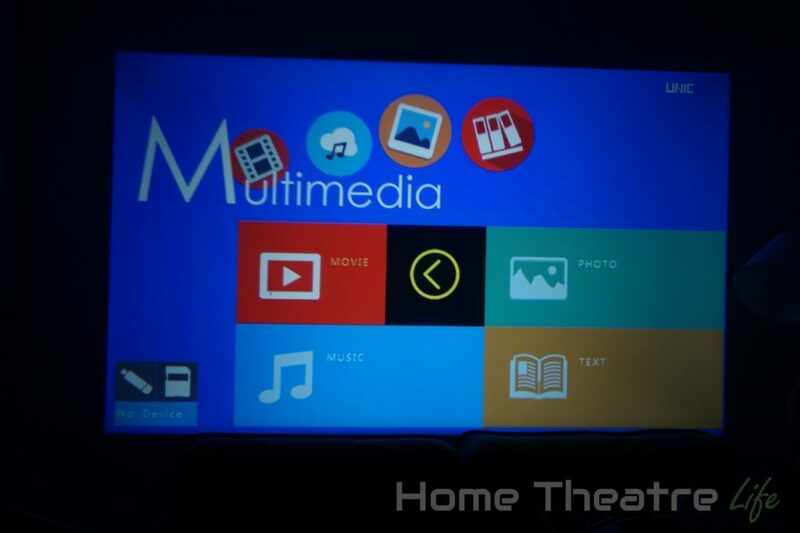 The top of the unit has some controls for navigating the menus and controlling media playback. There’s also dials for adjusting focus and keystone correction to get the clearest picture. All the ports are located on the right and rear of the unit. 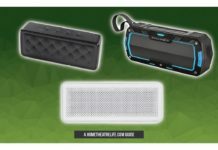 The right side features a 3.5mm audio output jack, composite video output, HDMI In, an SD card slot and two USB ports, although one can only be used for charging devices whilst the other can be used for media playback. The rear has the IR sensor and VGA port (hidden at the very bottom of the unit). Underneath the projector, there’s a riser. It’s essentially a long screw that allows you to tilt the projector so you can easily position the projector on a table. It’s pretty handy when you can’t raise the projector high enough. Powering up the projector is done via the power button. It takes a few seconds to boot up before you can access the interface. There’s a fan to keep the unit cool and it’s not particularly quiet. Thankfully, it’s slightly quieter than UNIC UC40 but you’ll definitely be able to hear it during quiet scenes. The UI is identical to the that of the UNIC UC40. 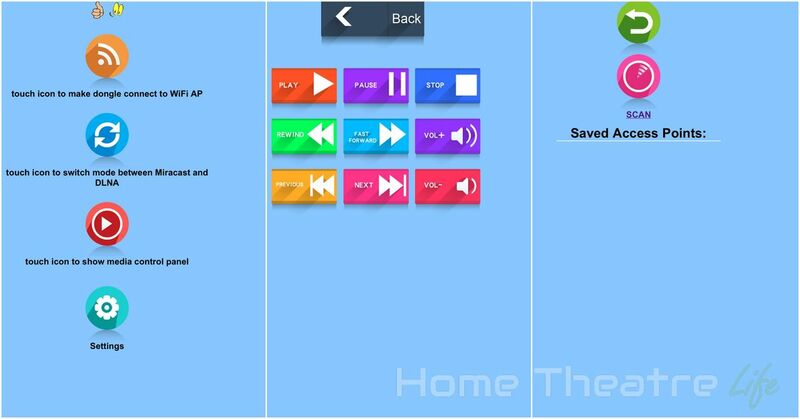 It’s colorful, with several tiles for each type of content: movies, music, pictures and text. Oddly, there’s no Settings menu item. Instead, settings is brought up via the menu button on either the remote or projector itself. The file browser is basic, with icons representing the content. Pausing over a video causes it to start playing. However, you have to hit the play button to actually start playing the video as pressing OK adds the video to the playlist instead. It’s a little unintuitive but you get used to it. The inbuilt media player does a decent job of playing back the most common formats. I didn’t have issues with 30fps H.264 videos, MPEG2 and the like, though don’t expect more demanding videos to work. Attempts to play 4K H.264, H.265 and Hi10p didn’t work at all. Similarly, Dolby audio isn’t supported so you’ll either need to transcode or add a dedicated media player. One thing to note is that the UNIC UC46 doesn’t seem to have any onboard memory. Settings will be saved as long as you keep the unit plugged in but it seemed to reset itself as soon as I unplugged it from the wall. That’s not an issue if you’re keeping the projector in one place but could be an issue if you’re wanting to transport it around. Normally, I’d review a projector describing looking at the picture quality relative to something like an LCD TV. 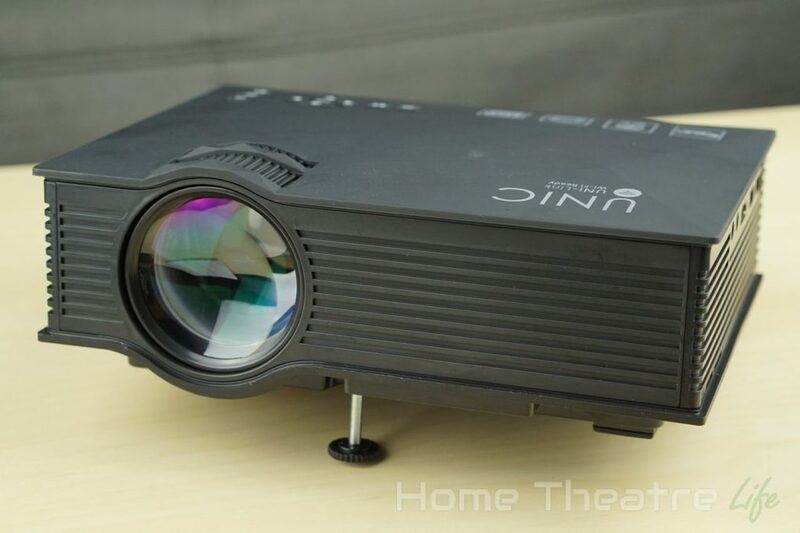 However, that’s really not fair to a sub-$100 projector that won’t even get close to units 10 times the price. The UNIC UC46 boasts 1200 lumens of brightness but that’s still not enough to overpower ambient light. 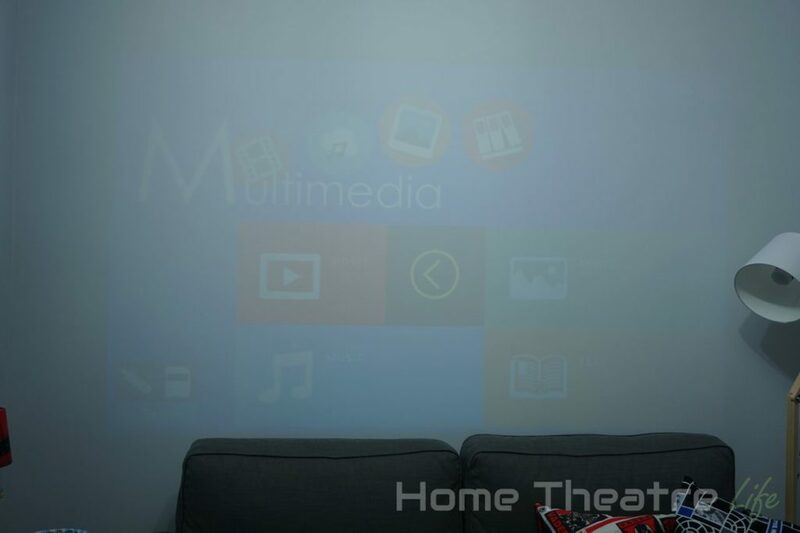 I wouldn’t bother trying to use the projector in a well-lit room. However, turning off the lights changes things dramatically. The image is bright and colors are vivid. Too vivid in fact – I recommend turning off the unit’s super color setting it as it tends to overstaturate the image. There’s a number of image presets but I found all of the to be pretty awful, with a tendency to oversaturate images. That said, after playing with the settings, I was able to get a pretty nice looking image. 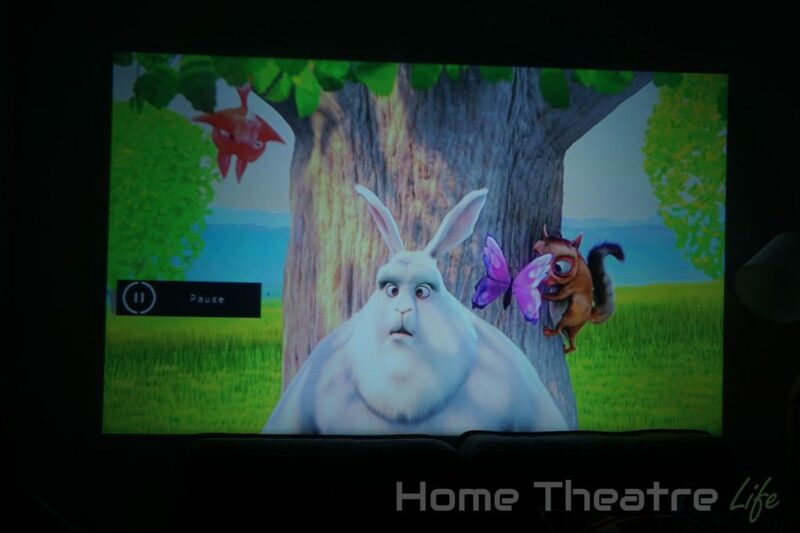 The 800×480 resolution (DVD quality) is definitely lower than what we’re used to in the world of 1080p and 4K television. That said, detail is reasonable enough for movies or gaming. 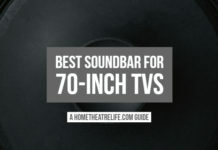 For watching a movie, playing some games or as a screen for the kids, it’s pretty perfect given its sub-$100 price tag. You’ll need to focus the image using the focus and keystone correction wheels to get maximum sharpness though sharpness falls off from the centre of the image. Using keystone correction exacerbates this so the closer you can get the projector to level, the better the image quality. 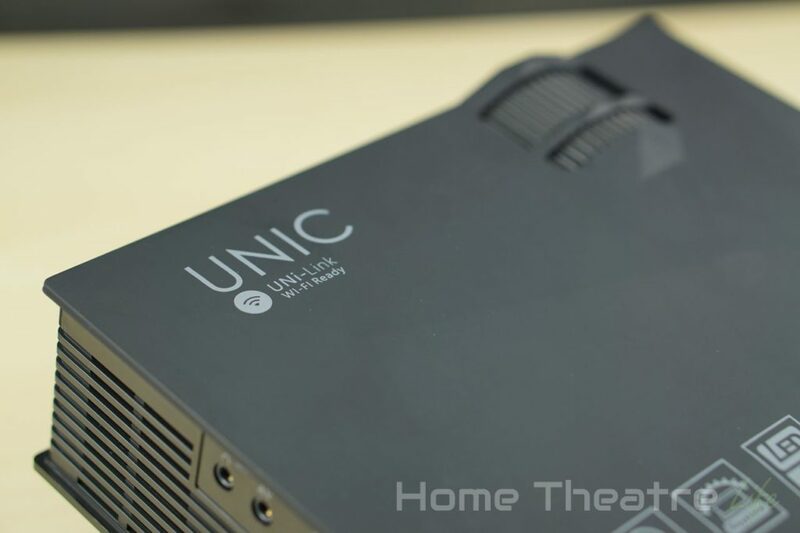 When I reviewed the UNIC UC40, I complained about the transparent UNIC logo constantly in the top right corner of the screen – even over video. Thankfully, common sense has prevailed and the UC46 doesn’t exhibit the same flaw. You’ll just get unadulterated images. You may also notice the black dot in some of my photos. Unfortunately, my unit had a dead pixel which, given the 800×480 resolution, meant that I had an omnipresent black dot on the screen. However, I’d wager it’s just bad luck. The UNIC UC46 also boasts on-board sound for an all-in-one setup. However, the unit’s tiny 1.5W downward-firing speaker predictably sounds hollow and lacks bass. 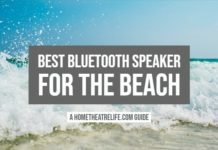 It’s functional but I’d strongly recommend taking advantage of the 3.5mm output jack to connect the projector up to a better quality speaker like the Blitzwolf F1 Bluetooth speaker. 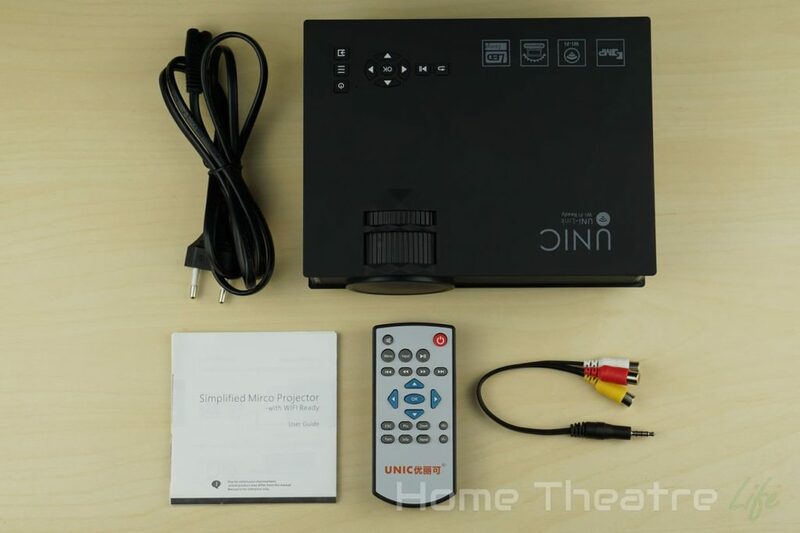 The biggest feature of the UNIC UC46 is “UNi-Link” – UNIC’s wifi-based solution for streaming content straight to the projector without any wires. Miracast, DLNA and Airplay are supported, covering off the most common standards. 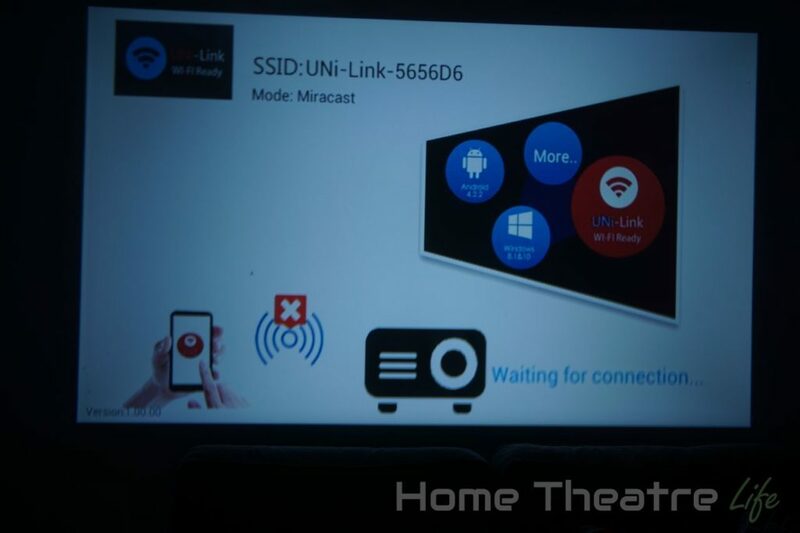 After changing over to the UNi-Link input, just connect to the UNi-Link WiFi hotspot using the password displayed on the projector. 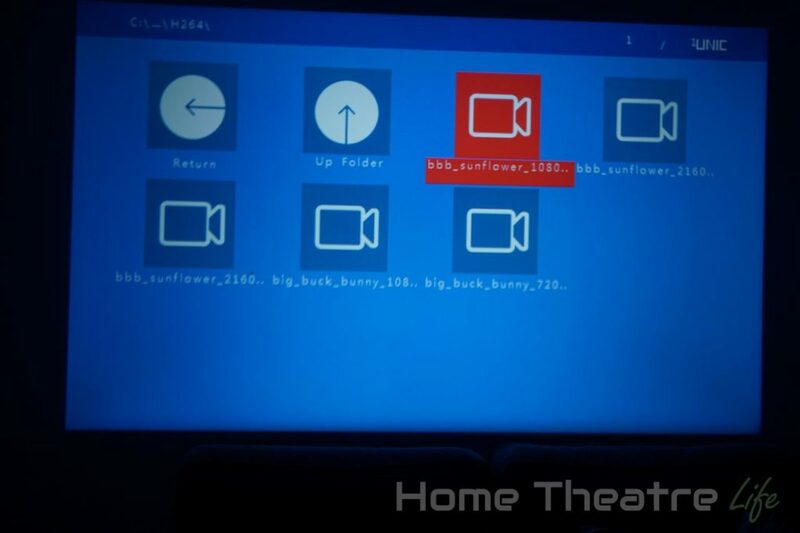 Afterwards, navigate to the provided IP address and use the web-based UI to connect the projector up to your wireless network. 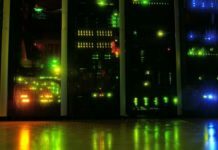 The web-based configuration tool is basic at best and looks more like a relic from the MySpace era than anything else – complete with Clipart-style GIFs. It’s hideous and thankfully, setup is probably the only time you’ll need to use it. There’s also a remote on there that has the key features but keeps the same hideous design. 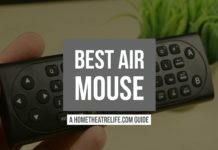 I’d recommend you stick with the physical remote. The actual streaming features work really well. I tried streaming video from my server using BubbleUPNP and to worked flawlessly. I was able to dream 720p and 1080p H.264 videos via WiFi without any buffering. AirPlay and AirPlay mirroring worked using my iPhone 6 on iOS9 pretty much flawlessly. I did have the occasional situation where I couldn’t play the next video. However, such glitches are pretty common with unofficial Airplay implementations across the board. 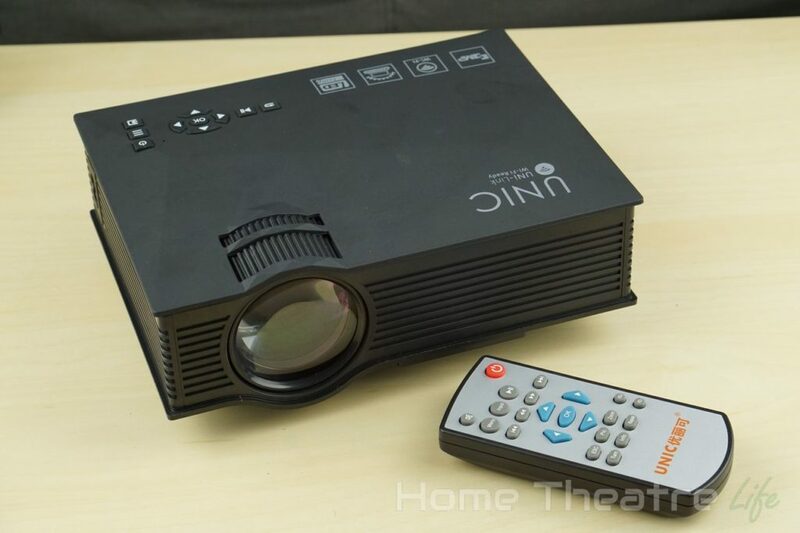 For its price, the UNIC UC46 is a real bargain. As long as you have realistic expectations of a projector that costs only $75, the UNIC UC46 checks a surprising amount of boxes. 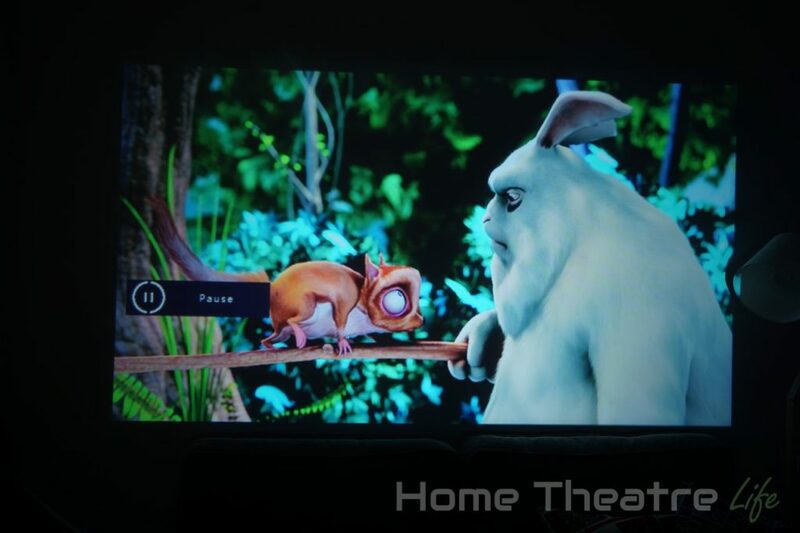 Whilst the DVD resolution is on the low side, it’s sufficient for watching movies or playing games on. Combine that with the in-built media player and Uni-Link wifi streaming functions and you’ve got a great package for cheap entertainment. You can get the UNIC UC46 from GearBest for around $75. Alternatively, it’s available from Amazon. The UNIC UC46 improves on its predecessor in every way. Whilst it won't blow you away with its image quality, it's an impressive unit for under $100 and a cheap way to get some big screen action going.